Announcing our next engagement opportunity: FRIDTalks! FRID is excited to present FRIDTalks, an inspiring workshop series where the presenters share their ideas in order to make us think, to challenge us, or to encourage us to attain a deeper understanding. This is an exciting new way for the interpreting community to gain CEUs while being exposed to a variety of modern and thought-provoking topics in the field. 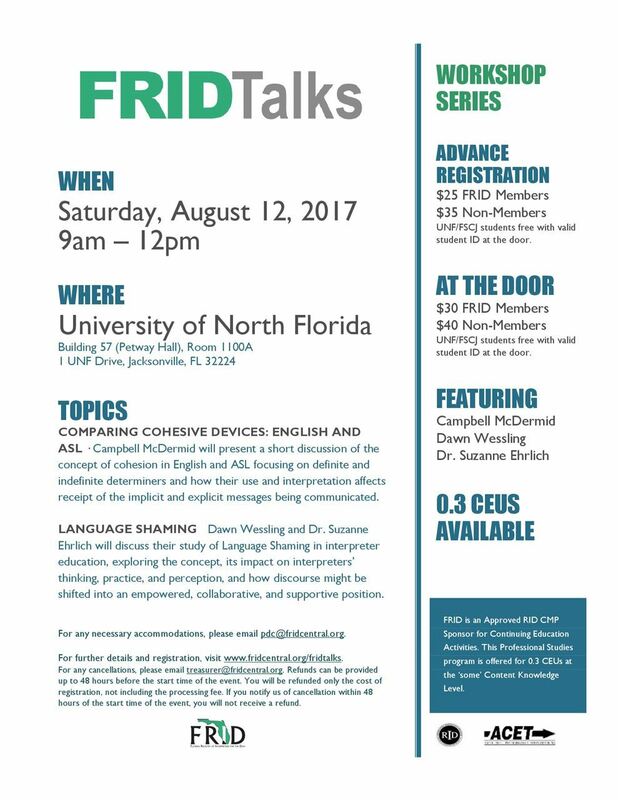 Check out our next FRIDTalks @ FRIDCon! Register for FRIDCon now to experience these inspirational talks! Contact pdc@fridcentral.org with any general questions and/or concerns.